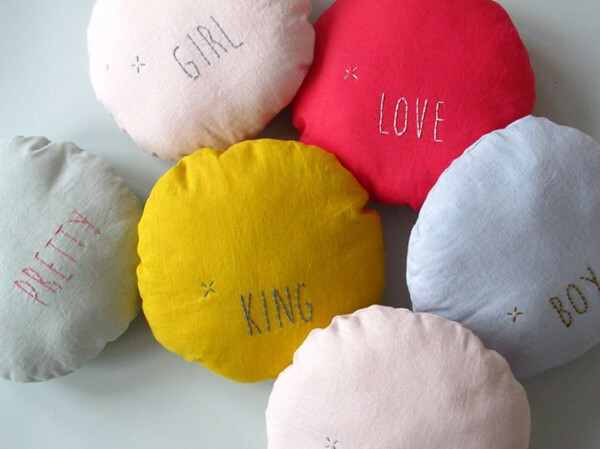 The Blossom Paris hand-embroidered cotton cushions are so simple but so much fun. Select the words that best suit your favourite little person and let them be reminded, every time they put their head down, how much they are loved. I’m an organisation freak, so I appreciate anything that mixes function and fashion. 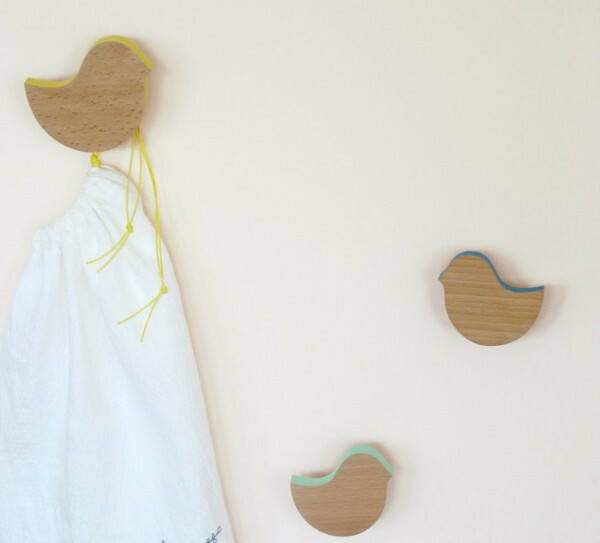 These beautiful bird hooks are exactly that. Gorgeous just as a decor piece, they also have a hook hidden inside to create a stylish storage solution. Brilliant. 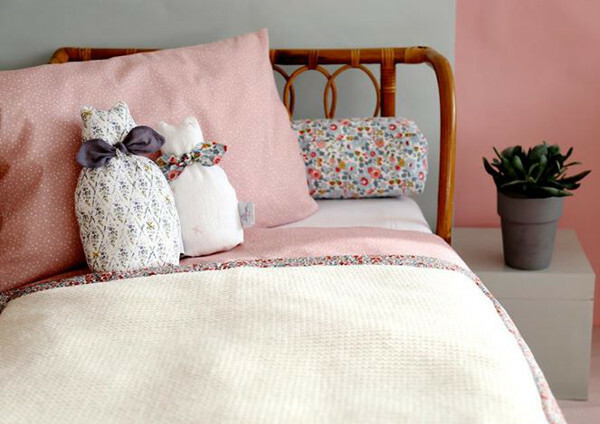 And although we are talking about nurseries here, I have to admit that the Blossom Paris range shouldn’t just be for kids. I mean, those cat cushions would look lovely on my bed too. Sorry, kids. My favourite has to be the customisable blankets. 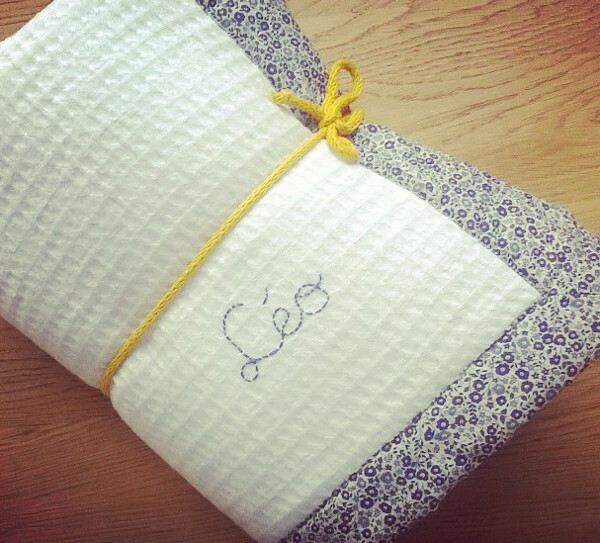 Made from washed linen with a cotton border, they can be hand-embroidered with either initials or name of your choice. Such a stunning gift for a little one. Blossom Paris make so much more than could be listed here: bumpers, bibs, and sleeping bags, to name a few. Unfortunately, Blossom Paris do not ship to Australia yet, but you can purchase through Smallable.